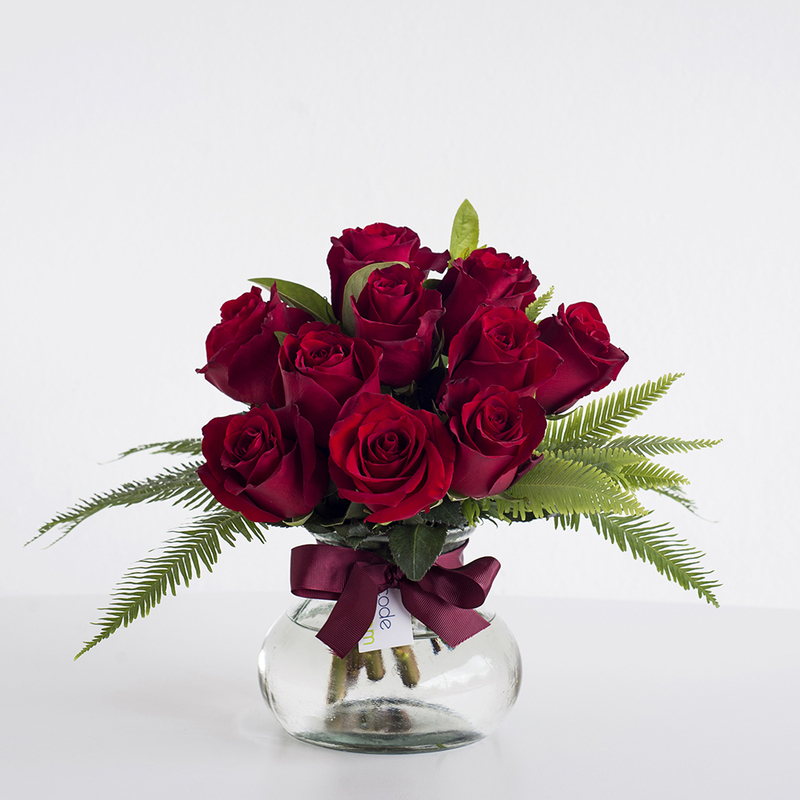 Beautiful arrangement of ten red roses into a posy jar with minimal greenery to give full impact to the roses. Given as a romantic gift or simply a beautiful gift sure to be enjoyed by anyone. The posy jar can be reused with many other type of flower arrangements later.